It is essential for every individual to behave in a socially acceptable way. Etiquette refers to good manners which help an individual leave his mark in the society. An individual must know how to behave at the workplace. There is a huge difference between college and professional life. One needs to be disciplined at the workplace. 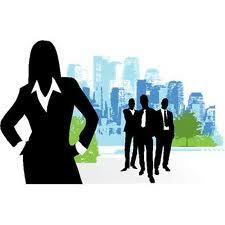 Corporate Etiquette refers to set of rules an individual must follow while he is at work. One must respect his organization and maintain the decorum of the place. Corporate Etiquette refers to behaving sensibly and appropriately at the workplace to create an everlasting impression. No one would take you seriously if you do not behave well at the workplace. Remember we can’t behave the same way at work place as we behave at our homes. One needs to be professional and organized. It is important to behave well at the workplace to earn respect and appreciation. Never adopt a casual attitude at work. Your office pays you for your hard work and not for loitering around. Don’t peep into other’s cubicles and workstations. Knock before entering anyone’s cabin. Respect each other’s privacy. Put your hand phone in the silent or vibrating mode at the workplace. Loud ring tones are totally unprofessional and also disturb other people. Don’t open anyone else’s notepads registers or files without his permission. It is bad manners to sneeze or cough in public without covering your mouth. Use a handkerchief or tissue for the same. Popping chewing gums in front of co workers is simply not expected out of a professional. Stay away from nasty politics at the workplace. Avoid playing blame games. Keep your workstation clean and tidy. Throw unwanted paper in dustbin and keep files in their respective drawers. Put a label on top of each file to avoid unnecessary searching. Never criticize or make fun of any of your colleagues. Remember fighting leads to no solution. There are several other ways to express displeasure. Sit with your colleagues, discuss issues face to face and decide on something which is mutually acceptable. Take care of your pitch and tone at the workplace. Never shout on anyone or use foul words. It is unprofessional to lash out at others under pressure. Stay calm and think rationally. Never attend meetings or seminars without a notepad and pen. It is little tough to remember each and everything discussed in the meeting. Jot down the important points for future reference. Wait for your turn to speak. Pass on information to all related recipients in the desired form. Communicate through written modes of communication preferably through emails. Keep your reporting boss in the loop. Make sure your email signatures are correct. Reach office on time. One must adhere to the guidelines and policies of the organization. Discipline must be maintained at the workplace. No organization likes to have a shabbily dressed employee. Shave daily and do not use strong perfumes. Never wear revealing clothes to work. Body piercing and tattoo are a strict no no at the workplace. Females should avoid wearing heavy jewellery to work. Don’t pass lewd comments to any of your fellow workers. While having lunch together, do not start till the others have received their food. Make sure your spoon and fork do not make a clattering sound. Eat slowly to avoid burping in public. Respect your fellow workers and help them whenever required. It is unethical to share confidential data with external parties and any other individual who is not related to the organization. Data in any form must not be passed to anyone outside the organization. Office Stationery is meant to be used only at work. Taking any office property back home is equivalent to stealing. Make sure you turn off the monitor while you go out for lunch or tea breaks. Switch off the fans, lights, printer, fax machine, scanner before you leave for the day. Don’t bring your personal work to office. Avoid taking kids to office unless and until there is an emergency. Park you car at the space allocated to you. Don’t park your vehicle at the entrance as it might obstruct someone’s way. Never ever drink while you are at work. Smoke only at the smoking zones. Do not leave the restroom with taps on. Female Employees should stick to minimal make up.